Are you a Veteran with PTSD and/or depression? Are you a Spouse of a Veteran with PTSD or depression? Operation Green Zone will give you a place to get away and meet other people who understand what it means to live with PTSD or with someone who has PTSD. Operation Green Zone provides counseling and retreat weekends for Veterans with PTSD and their families on separate weekends. The PTSD veteran will meet with other vets for a weekend to receive PSTD counseling and support. On separate weekends spouses of Veterans will receive support and counseling. 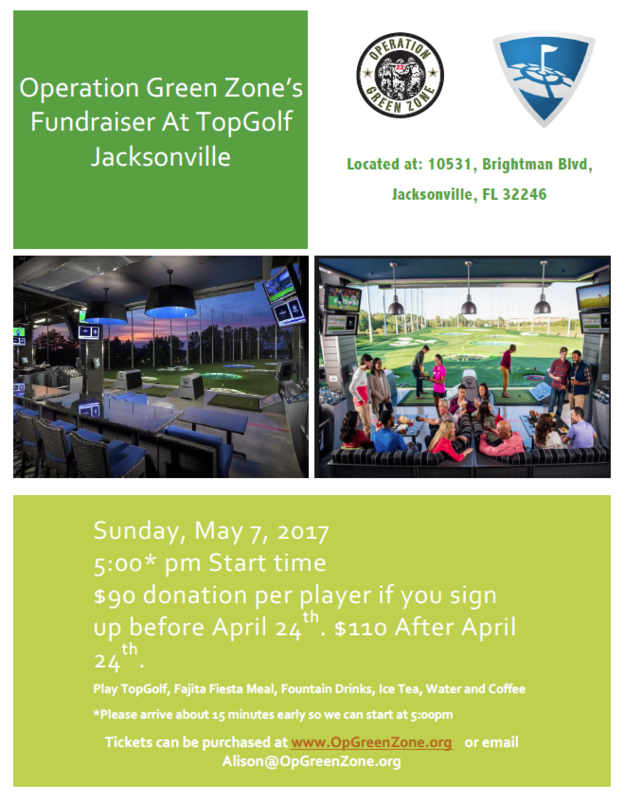 You can help support Operation Green Zone and our veterans at Top Golf on May 7. Save the date and come out to have fun and support #OperationGreenZone. We would love to see you there!